DAVID LE/Staff photo. 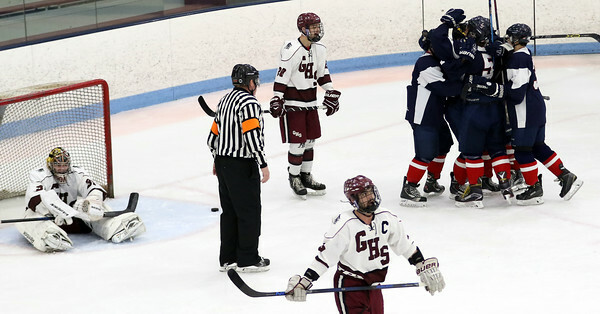 Gloucester goalie Noah Poliskey (31), defenseman Sammy Poliskey (20), and senior captain Alex Enes (19) express frustration as Lincoln-Sudbury players celebrate another goal. 3/8/16.